Joy, hope, caring, and warmth – these are just a few of the emotions the holidays are supposed to bring out in all of us. However, there’s a flip side. Many people wind up dealing with holiday stress this time of year. While we typically connect this type of stress with adults, it can also affect children. A child psychiatrist can offer some helpful advice to keep your family’s holidays happy and healthy. Here are some tips from Dr. Dwivedi Tarunendu. Frantic schedules can do a number on a child’s feeling of comfort. Try to limit the amount of change to your holiday schedule. Specifically, make sure you leave time for your family’s special traditions. These allow your child to create strong, lasting bonds with other members of your family. Don’t place these traditions at the bottom of your priority list; make time to continue the legacy. Sugar may be sweet to eat but it can also fuel stress. Limit the amount of sweets your child consumes this season. As much as you might want your child to perform in the Christmas play, consider how it will make them feel. While stretching boundaries is healthy, some children experience extreme stress in the face of these expectations. Also, try not to take your children shopping with you. The frenzy of malls and shopping centers this time of year can bring out lots of emotions in kids. Finally, understand that your personal stress can (and will) affect your child. Instead of letting stress start a chain reaction, practice managing it instead so your child won’t pick up on your feelings. 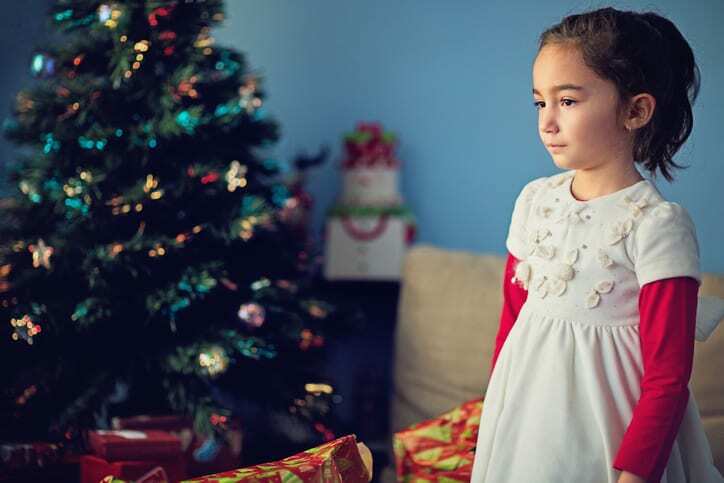 If your child is struggling with holiday stress, consider speaking with a child psychiatrist. Contact Dr. Dwivedi Tarunendu to see how our practice can help your child.